I can’t believe that we are almost at the end of October already!! This month’s Treat Petite theme was of course Halloween. I have to apologise now for anyone who missed the deadline of the 25th, which is a bit early for Halloween I know. But we are off to London again, day after next, and time seems to be running away from me at the moment!! First out of the gate this month is Ros from at The MoreThan Occasional Baker. Her first Halloween bake for Treat Petite were these delicious Candy Corn Oreo Brownies. The brownies incorporate Candy Corn flavoured Oreos that she picked up on a recent trip the America. They look super fudgy! Next we have Elizabeth’s from Elizabeth’s Kitchen Diary and her Vampire Lady Fingers. 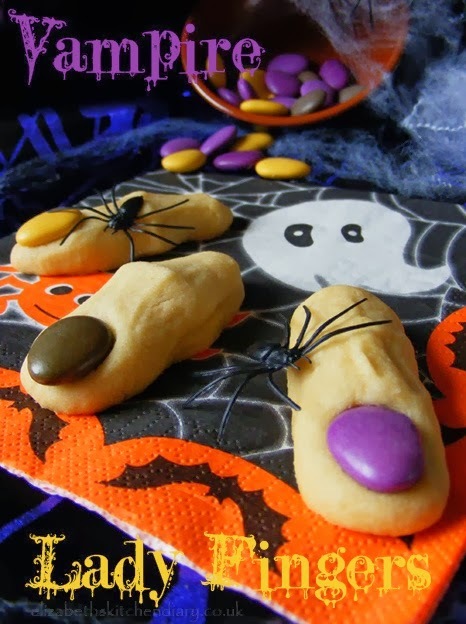 Elizabeth loves Halloween, and after receiving some Cadbury Pebbles to try out, she (and her children) used them as nails in this spooky bake. 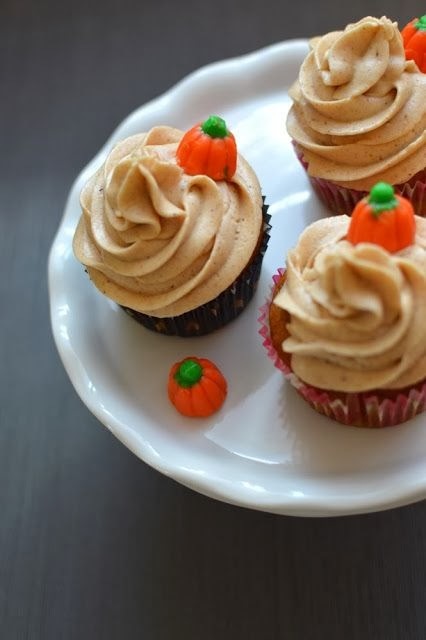 My good friend Steph in Toronto, from Kitchen Frolic, entered these very decadent looking Pumpkin Spice Cupcakes. She decorated these with cute little gummy pumpkins. Steph used a cream cheese frosting for these but recommends a buttercream if you want the piped look to last longer. 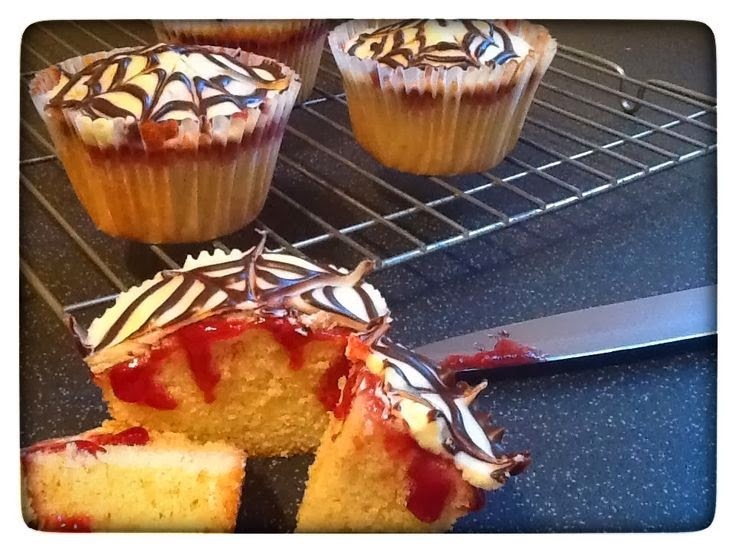 Laura over at I’d Much Rather Bake Than... entered these Bleeding Cobweb Cupcakes. She added jam to the top of her freshly baked vanilla cakes, then topped this with white chocolate and a cobweb effect. When you cut into them the ‘blood’ starts to trickle down – gruesome and delicious! And ‘creeping’ back in is Ros from The More Than OccasionalBaker with her Cinnamon and Pumpkin Spice Thumbprint cookies. For these she used Pumpkin Spice Hershey Kisses she picked up on that trip to the US. 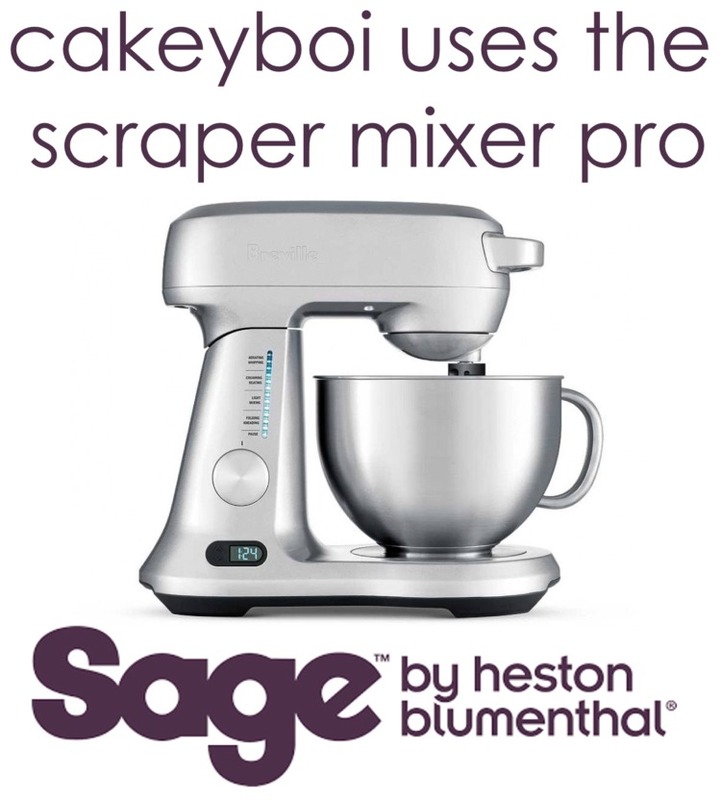 The cookies themselves are flavoured with mixed spice and cinnamon – they look great. 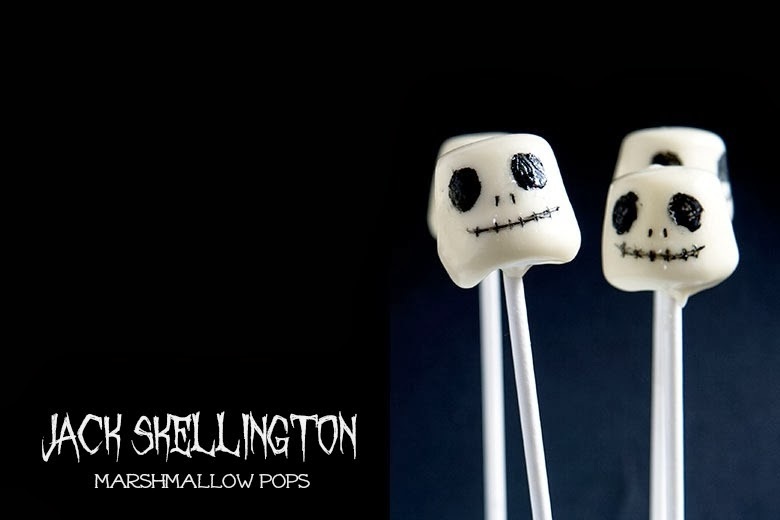 Then I received an email from Louise over at Crumbs andCorkscrews who entered these Jack Skellington Marshmallow Pops. She dipped her marshmallows in melted white chocolate, popped in a stick and drew on the face of Jack Skellington from ‘Nightmare Before Christmas’. I absolutely love these what with the Disney connection and marshmallows being a favourite of mine. 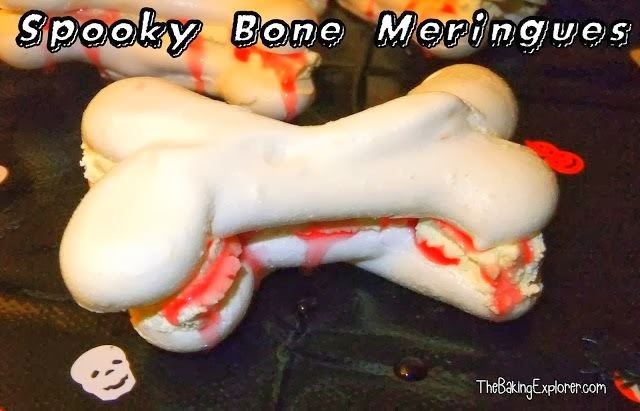 Penultimately, we have my co-host Kat (from The Baking Explorer) and her entry – Spooky ‘Bone’ Meringues. Kat made meringues in the shape of bones and sandwiched them together with bonemarrow and blood AKA cream and strawberry sauce. I think they look like something from ‘The Walking Dead’ TV show. Brilliant! And lastly, my own entry! I made cupcakes flavoured with lime, dyed them green and added blueberries to the mix. I call them Booberry and Slime Cupcakes – they tasted devilishly good! hehe, thanks again for entering Laura! These all look great Stuart. No Halloween bakes for me, grandsons are too young to know yet, maybe next year! The biggest shock for me there is the fact you are a grandmother Janice - you look way too young!! No worries Shirley, there is always next month! Love all the recipes in this month's Treat Petite and so glad I could join in the fun! Those bleeding cobweb cupcakes are AMAZING! What an inspiration! I'm definitely going to have to keep those in mind for next year's Halloween baking! I know, they really impressed me Steph! Loving Kat's spooky bone meringues! They are good aren't they Sarah? Loving Elizabeth's Vampire Lady Fingers, the Pebbles fit perfectly; and your Booberry and Slime cupcakes are fantastic! 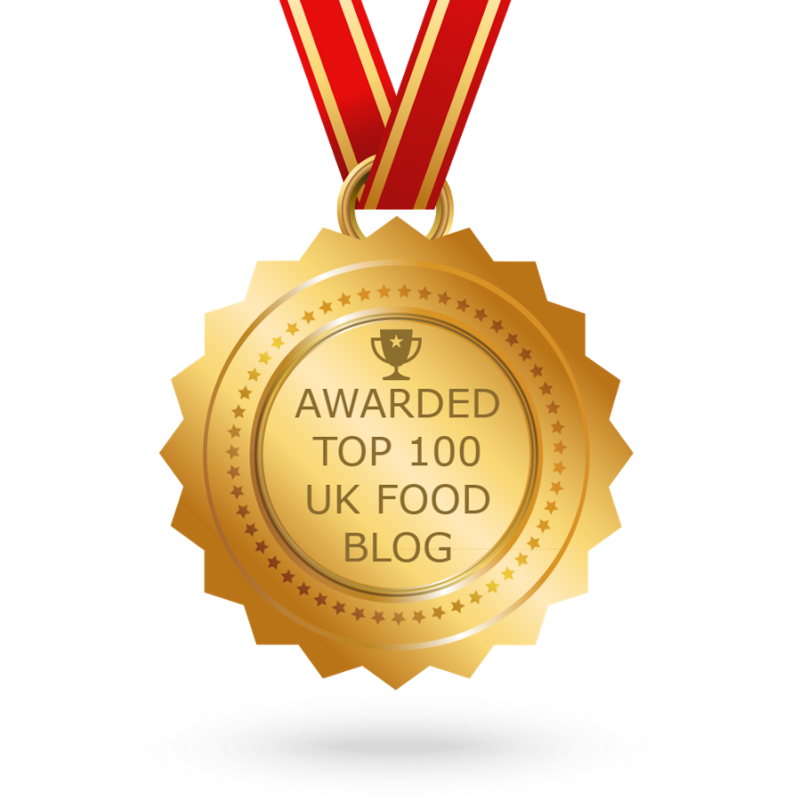 Thanks to you for entering Louise! A fangtastic round up! Love your booberry and slime cupcakes - still makes me laugh! Everything is so creative and fun!! Love the vampire fingers! Were my Halloween cupcakes too late?? Hope you had a spooky Halloween!! !